Looking for the best bass guitar for funk? Take a look at our in-depth guide where we will compare the best funk guitars on the market. See what guitars revolutionized funk music and what the top bassists are playing around the world. Most bassists will argue that funk is “all in the fingers”, and I totally agree. 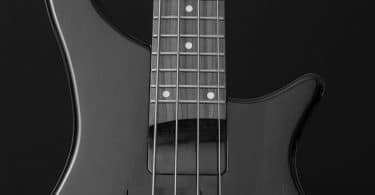 However, I think that there are some bass guitars that just SCREAM funk when you hear them, so having ​the best bass guitar for funk in your arsenal can only help you achieve that sound faster and easier. What is the ideal funk sound to look for? While many guitarists will have different preferences, the funky bass sound to me is essentially all about an in-your-face, growling, punchy tone with pronounced treble and scooped mids. There are 3 main bass types that fit this bill and I consider them the holy trinity of funk guitar. They are StingRay, Jazz, and Precision. These are the absolute classics of funk bass. They are have been used by the world's top funk bassists and continue to be some of the most popular and best-selling bass guitars on the market every year. In addition to a guitar, having a great compressor pedal can help you achieve a thick, in-your-face tone. Let’s take a look at my top picks when looking for the best bass guitar for funk. The Music Man StingRay is one of the most iconic bass guitars in history, and the name is synonymous with funk. If you ask 100 bass guitarists what guitar they would recommend for funk, I’d wager that the majority of them would say the StingRay. The StingRay has been used by some of the world’s best bassist that are known for their slapping technique. These musicians include Louis Johnson, Flea, Bernard Edwards, Guy Pratt and many others. In 1971, 2 unhappy employees at Fender decided to leave and start their own company. First known as Tri-Sonix and later on Musitek, Inc., the company eventually became known as MusicMan in 1974. Eventually the founder of Fender, Leo Fender, became a silent partner and became the president of MusicMan after the expiration of a “no compete” clause. The StingRay was first born in 1976 from the collaboration of Leo Fender, Tom Walker (who originally started MusicMan), and Sterling Ball who was a beta tester. It was the first 4-string bass to feature on-board active equalization. It featured an "MM" humbucking pickup and an active pre-amp powered by a 9-volt battery. The 3-band equalization made it possible to boost the highs, mids, and lows, so being able to dial in a very specific tone became a possiblity. StingRays are known for being very punchy which is perfect for slapping and funk-style music. You can get a Classic version which comes with a 2-band equalizer, or you can get the more modern version which has a 3-band equalizer. I think that having the mid control knob on the modern version adds quite a bit extra tone control and allows for the perfect funk tone, although the feeling of the Classic is still great in your hands and features a beautiful birdseye maple neck. In addition to these options, you can pick up an HH or HS version which features an extra pickup along with a 5 way pickup selector. This allows for tons of different tone options, although keep in mind you’ll be paying a little extra for this. If you have your eyes set on a Music Man StingRay but your wallet can’t stand the sight of it, then the S.U.B. Ray4 is for you. Sterling is a brand that creates low-cost versions of Music Man guitars, but don’t let that make you think it’s low quality. You can think of the Ray4 as cousin to the classic and iconic 4-string StingRay. It still has all the same great features - Low-noise humbucking pickups, active electronics, high quality hardware and a simple iconic look that’s instantly recognizable and respected. The 38mm nut width was designed with easy-playability in mind, and the slim neck caters to hands of any size. In addition to this, the medium-jumbo frets make fretting almost effortless. Usually when you buy a low-cost guitar like this that tries to replicate its older brother the sound falls short, but not with this. The S.U.B. Ray4 sounds very close to the Music Man Stingray and it’s absolutely perfect for bassists of any skill level. If you want that classic StingRay sound at a bargain price, then this is the guitar for you. The Fender Jazz bass was the 2nd bass guitar produced by Fender after the Precision Bass. The midrange and treble are much brighter and punchier when compared to the Precision, so it serves extremely well in something like funk where the bass needs to stand out from the crowd and not blend too much into the other instruments. In order to compete with the famous Rickenbacker bass at the time, the Jazz featured two single coil pickups with two pole pieces per string which gives off a very strong high-end frequency. It has a very contoured offset body modeled after the Jazzmaster guitar, and it also features a very narrow neck at the nut. This high treble is great for slap bass as well as fingerstyle. Putting both pickups to their max volume yields a scooped growling sound, which players like Marcus Miller and Will Lee love for slapping. The sound comes from the frequencies of each pickup phasing and canceling each other out, creating a mid scoop. The design of the Fender Standard Jazz comes with a maple neck, a very comfortable gloss finish, maple fretboard, and 20 medium-jumbo frets. The satin finish on the back of the neck makes it super easy to move up and down the fretboard for hours without getting sore. Keep in mind that this guitar is made in Mexico. If you want to spend about double the amount of money you can opt for the American Standard Jazz which is made in America. With the US version you’ll get better wood grain, graphite reinforcement rods in the neck, as well as some other slight improvements in the workmanship. I personally don’t think it’s worth spending double the amount of money since the Standard Jazz sounds so great, but if you have the extra money to throw around go for it! Just like Sterling creates low-cost versions Music Man guitars, Squire is an offshoot branch of Fender that creates affordable gear based on some of their classics. It was created in order to compete with the low priced Japanese guitars of the time. Squier's Vintage Modified line was first introduced in 2004. It’s based around the concept of taking vintage designs and adding "hot rod" features such as hardware variations, gloss maple necks, new finishes and pickguards, and Duncan Designed pickups.The Vintage line draws from a wide range of Fender instruments, and has resulted in a large variety of models with many different feature combinations. Because of the low cost of entry, this is a great bass guitar for beginners and intermediate players. The ‘77 model features a warm, low-cost tonewood called Agathis which is comparable to mahogany. It also has a maple neck and fingerboard along with dual single coil Jazz pickups and 20 medium-jumbo frets. This is also a great bass to potentially mod and upgrade in the future since you aren’t paying thousands of dollars for it. The Precision Bass, also known as a P-Bass, was first brought to the market in 1951 and was the first bass to earn widespread fame and use, and is still one of the best selling bass guitars of all time. The double bass is a large heavy bass that was used up until the Precision became available. It was become hard to hear over the noise of larger bands, so Fender’s solution was to create a portable electric bass with a harder-edged tone and more sustain. 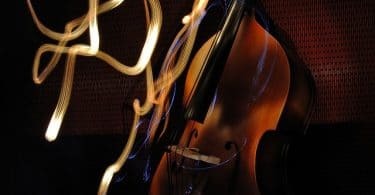 It was named “Precision” due to the introduction of frets which made it easier to play music when compared to the double bass. It features a single split-coil humbucking pickup along with a 20-fret maple neck and alder body. Like the Jazz bass, there is an American version available for a hefty extra sum. The manufacturing is going to be slightly better than this Standard version which is made in Mexico, but for half the price this one sounds fantastic and has continued to be a best seller for good reason. As far as the sound quality goes, the Standard Precision gives you all the tone you’d expect out of a P-bass. The passive single-pickup design allows for a punchy, powerful, growling tone that you want when playing funk-style music. A huge benefit of buying this one instead of dropping all your hard-earned cash on the American version is that you can mod the hell out of it in the future and not worry about messing it up. All in all, this is a great bass for gigging or practicing as a beginner or intermediate player. When in doubt, it can never hurt to turn to the masters of funk to see what they are using. Flea needs little introduction. He helped launch the Red Hot Chili Peppers to fame with his funky grooves, and his sound is one of the most sought-after funk tones in the bass world. His own ‘61 Jazz Bass is perfectly captured here, from the worn-down paint and neck plate engraving to the broken-in feel of its period-correct U-shaped maple neck. Its rosewood fingerboard make this one of the easiest bass guitars to pick up and play. If you love the single-coil J Bass tone, you’ll love this since it features Pure Vintage ‘64 pickups. The result is a supremely defined low end, focused mids, and a high-end that hangs with the best of them. It features a slightly thicker neck than some other bass guitars, and this allows you to really dig in and brace your hand for hard grooves. The dual concentric tone controls will allow you to get pretty much any tone you want, so this is a great well-rounded choice for many styles of music besides just funk. When it comes down to it, you can't go wrong with any of the above guitars. The main question you should be asking yourself is how much you are willing to spend. Do you want to go all-out and get a top of the line funk bass? Or would you rather get a low-cost guitar and mod it later on? Either way the bass guitars listed above are absolute classics and about as funky as you can get, so pick one up and then get working on those funk techniques and rhythms!